I love sundresses!! The white off the shoulder one is so so cute! Beautiful! Love your picks! Sundresses hold a little piece of my heart - love summer! That dress is amazing! So pretty. This is a great summer dress. Such a gorgeous romantic summer dress!! All I wear are sundresses during the Summer. 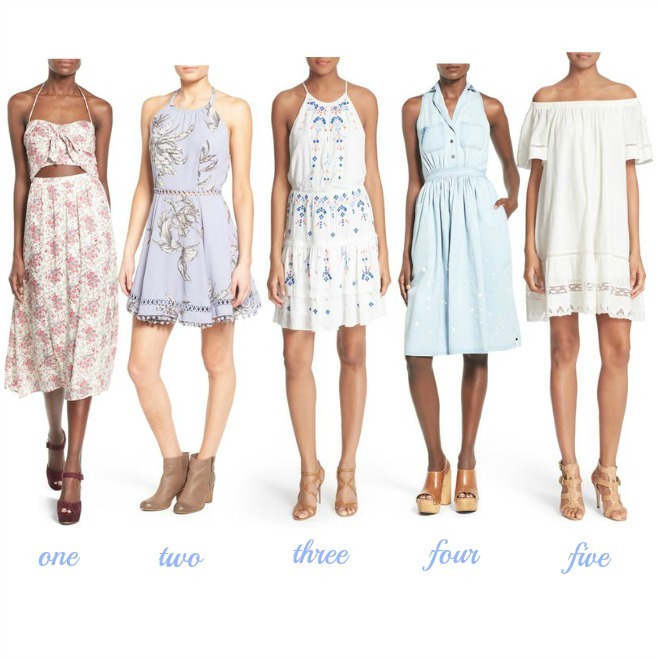 Love your dress, and ever one of your picks. For sure picking at least one of these up! I absolutely love this style! I feel like I can't pull it off! You look great girl!! !